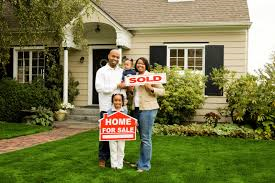 When it comes to buying a home, whether you are a rookie home buyer or have gone through the process many times, having a local real estate expert who is well versed in the neighborhood you are looking to move into, as well as the trends of that area, should be your goal. When you make the decision to enter the housing market, as either a buyer or a seller, make sure you look for an agent who exemplifies these values and will help you through every step of the process. Call Tanika at 301-367-7877 to help you on the path to home ownership!